Indonesia with its 70,000 plus islands, electricity issues and limited bandwidth is preparing to roll out what could be the world’s most ambitious biometric ID initiative to date. A Computerworld report revealed that the initiative is costing the country $600 million and will provide 172 million residents a national identity card. The project is expected to be fully functional before Indonesia’s next election in 2014. The project will issue each citizen with what officials are calling the e-KTP card— an electronic national ID card to be used for a number of purposes including identification for voter registration, passport issuance, tax and financial applications. Citizens enroll at registration centers where their fingerprint, iris and face are captured as images using biometric equipment and along with their personal data stored as a record and tied to their electronic identity card. 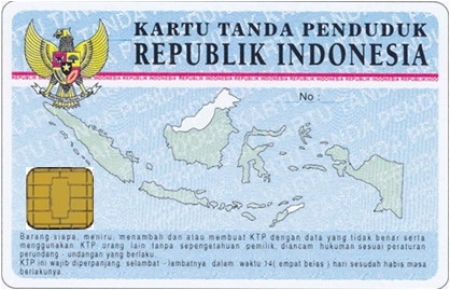 Husni Fahmi, head of the e-KTP Technical Team, estimates that the program is issuing 8,000 cards daily with 118 million e-KTP records already stored in the country’s databases. In development since 2010, it has been a long time coming for the biometric ID initiative. The new ID system is expected to help combat the country’s sordid past with voter fraud, counterfeit documentation and terrorism. Core biometrics and hardware technology for the project are being provided by a number of companies including HP, L-1 Identity Solutions and Topaz Systems, while the bulk of software development is being run by Indonesian-based Biomorf. While the primary goal for now is to have the e-KTP IDs ready for the 2014 election, future plans include building a foundation for authenticating local transactions by financial institutions. Read the full Computerworld story here.